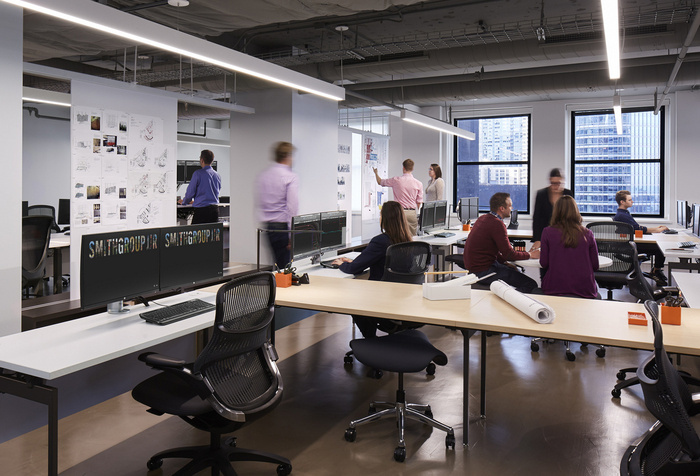 Architecture and design firm SmithGroup designed their new offices, located in Chicago, Illinois. 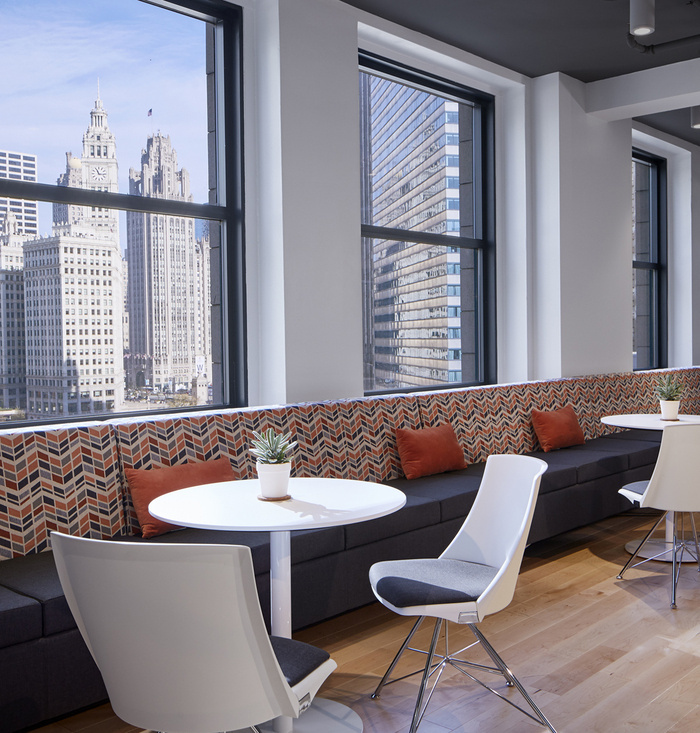 With the impending expiration of its lease, the Chicago office of SmithGroup took the opportunity to re-imagine its workplace. It treated itself as a client, conducting a series of workshops with user groups to examine the functionality of the current space, and better understand what elements users valued and what could be changed to improve the way teams would work in the future. From these studies, the team identified three main typologies: heads-down work, activity-based work and collaborative work. That information provided the framework for the new Chicago workplace. It features a centrally located materials library and “maker space” that supports SmithGroup’s activity-based work environment. Team members can gather here to collaborate on projects, visualize designs, and do mock-ups, modeling and other hands-on work. Scattered throughout the office, “touch-down” areas provide space for informal discussions and impromptu connections. Moveable pin-up boards provide team members flexibility in displaying, presenting and critiquing work. Client-focused meeting spaces are also equipped with and ample pin-up display surfaces. An open café serves as the office living room, a place for staff gatherings, events and social connectivity. This new office design now reflects how the team works best, facilitating and enhancing the firm’s collaborative Integrated Design Process.